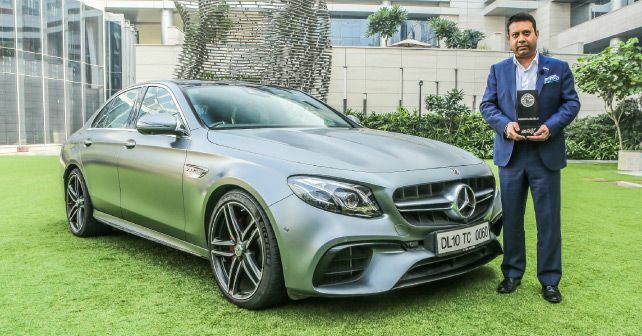 At 612bhp and 850Nm, the Mercedes-AMG E63 S is a sports sedan that makes almost as much power and torque as a supercar. The E63 S is fast, blistering fast! It accelerates to 100km/h in just 3.4 seconds. And while the tarmac rushes past at a terrifying pace, there’s an accompanying symphony of crackles and pops each time the car upshifts. Let’s just say that the E63 S thoroughly engages you, as you try your best to keep pace with the rising speeds. The nine-speed gearbox, meanwhile, is eager and quick, while the 4Matic all-wheel drive system keeps all that power and torque in check. Of course, you can always activate ‘Drift Mode’ to turn the tyres to smoke in no time. The greatest asset of the E63 though – other than the motor of course – is its usability. Being a four-door sedan, the AMG E63 S is actually quite practical. The new E63 pushes the envelope in almost every way. Along with a lot of electronic wizardry, it also packs more features and looks meaner than ever – and that’s what earns it a place amongst our ‘Best of 2018’ machines.